The television show “Person of Interest” had a group of people helping out those who were in harms way. They group found the people were in trouble from an artificial intelligence known as “the machine,” which was able to tap into closer circuit television cameras and use facial recognition to track individuals. In later seasons “Person of Interest” capitalized on all the leaked documents on U.S. surveillance and created a show that questions whether or not all of this was a good idea. While there may not be an artificial intelligence out there that can track whether people are in trouble, law enforcement agencies across the country and using facial recognition technology more frequently in an attempt to catch criminals, according to a report from the Center on Privacy & Technology at Georgetown University. The center looked at the FBI’s use of facial recognition along with local law enforcement and found that face recognition affects more than 117 million American adults. The study also found that the technology’s use is unregulated and that only a few agencies have implemented meaningful protections to prevent the misuse of the technology. The FBI and law enforcement agencies across the country routinely use biometrics – such as fingerprints – to identify suspects that appear in their databases because they have previously committed a crime. But what some agencies are doing by tapping into state driver license databases is different. By running face recognition searches against 16 states’ driver license photo databases, the FBI has built a biometric network that includes law-abiding citizens. Police departments are also looking at real-time face recognition on live surveillance camera video. This type of system would enable police to continuously scan the faces of pedestrians walking by a street surveillance camera. “Contract documents and agency statements show that at least five major police departments—including agencies in Chicago, Dallas, and Los Angeles—either claimed to run real-time face recognition off of street cameras, bought technology that can do so, or expressed a written interest in buying it. 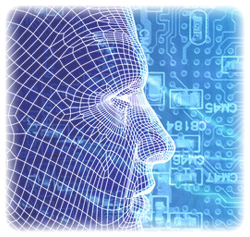 Nearly all major face recognition companies offer real-time software,” the report states. Law enforcement using these systems to identify possible suspects is problematic. Facial recognition is not as accurate as fingerprints and even less so in a real time environment. There are also privacy issues having photos use from driver licenses – that were taken for one purposes – used for another completely separate reason. The report urges lawmakers to pass legislation regulating the use of facial recognition by law enforcement. “Such laws should require the FBI or the police to have a reasonable suspicion of criminal conduct prior to a face recognition search. After-the-fact investigative searches—which are invisible to the public—should be limited to felonies,” the report states.